Screenshot/US Air ForceAFRL’s conceptual sixth generation fighter. 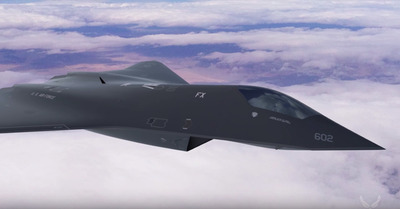 A military aviation expert told Business Insider what a sixth generation fighter might look like, after the US Air Force Research Laboratory released a video teasing the future aircraft. Richard Aboulafia, a military aviation expert at the Teal Group, said that he expects it to be more about the accompanying systems – the weapons, outboard sensors, drones, etc. – than the air vehicle. He also said that while he’s not in favour of an unmanned system or high energy lasers, the two capabilities are certainly possible. The US Air Force Research Laboratory released a video in late March showing what a sixth-generation fighter jet might be like, as part of a push to plug its Science and Technology 2030 initiative. The video shows a conceptual sixth-generation fighter jet, known as the F-X, firing what appears to be a high-energy laser that cuts another fighter in half. It’s still unclear what capabilities a sixth-generation fighter would have. Some have speculated it could have travel at hypersonic speeds, be able to switch between a manned and an unmanned aircraft, and more. When Business Insider asked AFRL what capabilities it expects a sixth generation fighter to hold, a spokesperson declined to comment. 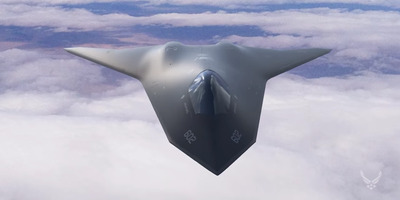 So we spoke to Richard Aboulafia, a military aviation expert at the Teal Group, about what he thinks the next generation fighter will be able to do. “It will be less about the air vehicle, and more about the accompanying systems,” Aboulafia told Business Insider. “The weapons, those friendly drones [loyal wingman], the outboard sensors – everything like that,” adding that it probably wouldn’t have a heavy payload because it would reduce stealth. “The enemy is going to try to jam everything,” he said. 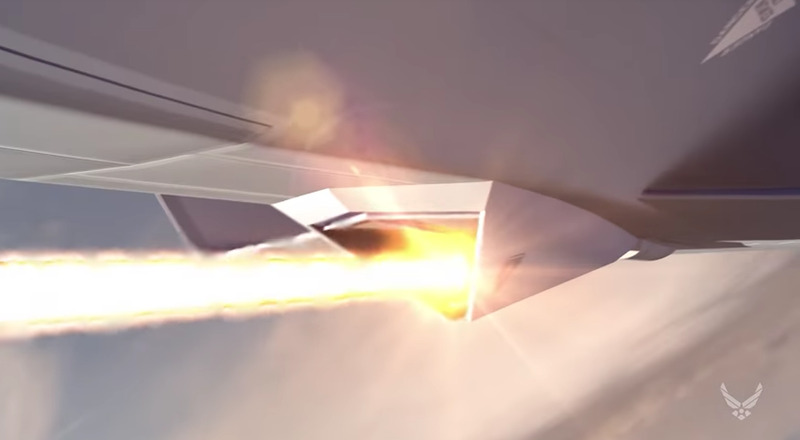 Not all of the new technology that is floated around for a sixth-generation fighter would neccesarily be beneficial to the aircraft. “A really good air-to-air missile can go 30, 40, 50 miles,” Aboulafia said. “You do that with a laser, [and] there might be all sorts of complications” since anything in its path might get hit. Screenshot/US Air ForceThe high energy laser on AFRL’s conceptual sixth-generation F/X. Aboulafia also said he wasn’t in favour of an unmanned system. “But a fighter? … Why aren’t you just using a lot of missiles? In other words, if you’re talking about a $US100 million asset, having someone on board is a good way to preserve it,” he said.